There is nothing more striking than a bold monochromatic look. 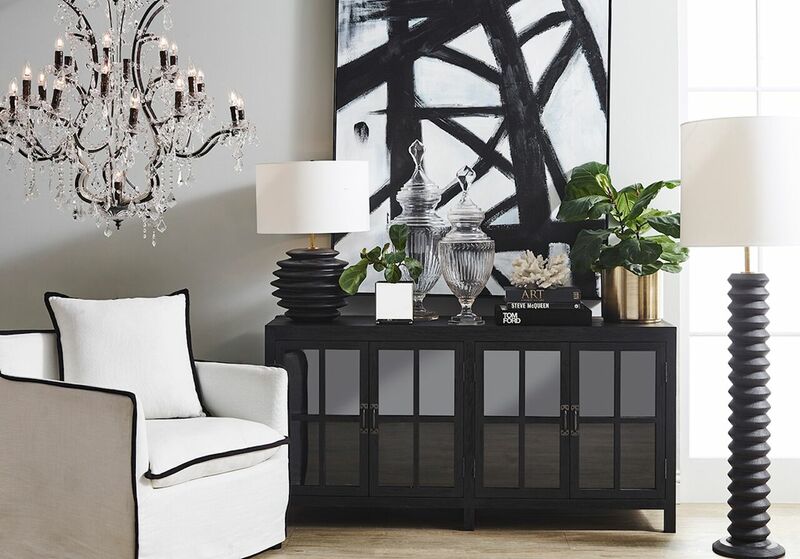 Pairing black and white creates a sense of drama and chic sophistication. Though the look offers a minimalist colour palette, there is nothing bare or simplistic about Monochromatic Maximalism. The monochromatic colour scheme highlights the lines of each piece creating a space where pieces from a range of decor styles from Gothic to Craftsman to Modern fit together easily. From the elegant curves of the chandelier to the pop art piping of the chair, the form of each piece offers a rich tapestry of interest, creating a stunning visual impact. At the Interior Designer we have everything you need to create the look of your dreams in your home. From unusual home furnishing to statement decor, we have it all. We also offer comprehensive interior design services that can help you pull it all together. If you are ready to take your home decor to the next level, contact us to learn more.